Please call owner Brian at 504-905-6613 or 210-581-0033. Boat is in Corpus Christi, Texas. This boat has it's own website. 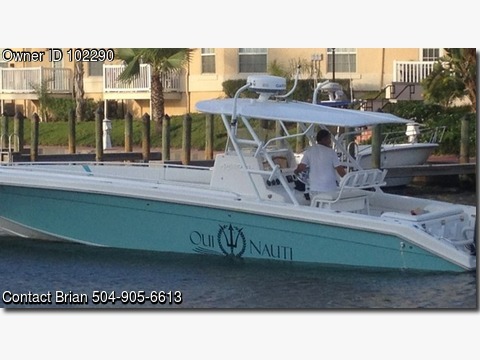 http://www.ouinautisportfishing.com . Notable Features : Custom T-Top. Custom leaning post with backrest, rod holders and storage. Center console head compartment with sink & electric toilet. Cushions for foredeck, aft bench seats, coaming and back rests. Large built in and carry-on live wells. Fish boxes with pump outs. Windless Anchor with locker & rode. Transom door and boarding ladder. Ample rod holders and rocket launchers. Fresh and raw water wash downs. Removable canopy for foredeck area. Engines- Three 250 Yamaha HPDI’S with approximately 400 hours. Electronics- Garmin Chart Plotter with 28 Mile HD Radar with Simrad Auto Pilot. Stereo with high quality speakers, AMP and Sirius Radio with Weather. Sellers comments- This lift-kept Dakota 360 has been well maintained the annual service was done in October . She has all the features, and more, for serious fishing by professionals or the weekend angler.